Happiness comes from solving problems. 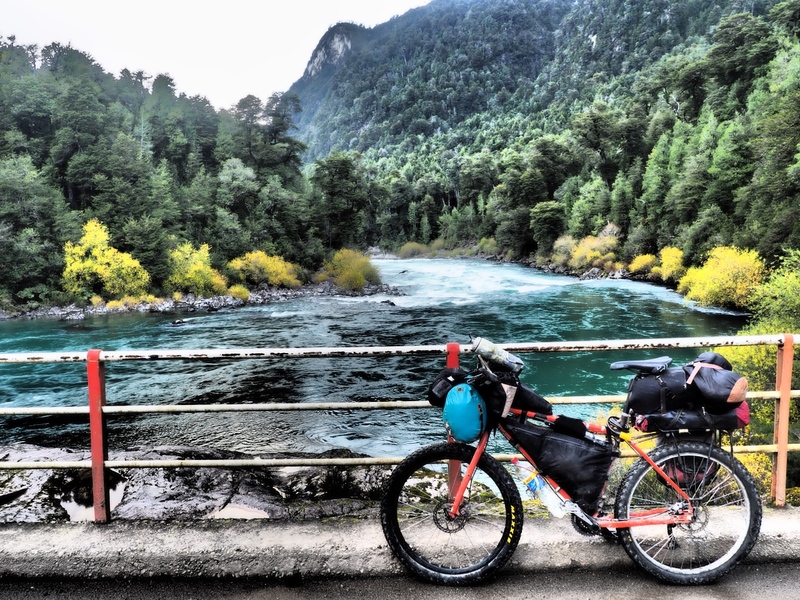 Which is lucky because in bicycle touring, they can be endless. 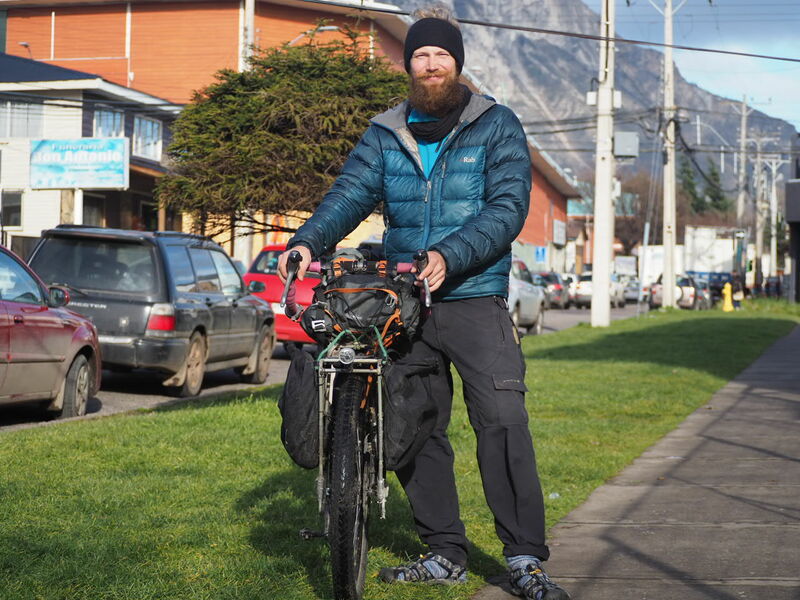 With the harsh weather conditions down here in Patagonia, it doesn’t take much for tired kit with years of use to tear or break. With little in the way of outside help, the patience to painstakingly work through the steps is essential. A skill that I find requires concerted effort after years of sabotage from constant exposure to instant gratification on the internet. Stuck on the side of a muddy road at night in the freezing rain in the middle of nowhere with a huge rip in the wall of my tyre isn’t something that’s going to be fixed in a few seconds with a couple of clicks of a button. And so, bicycle touring has the added bonus of forcing you to practice patience, arguably a skill also needed to achieve any real progress in ‘normal’ life. 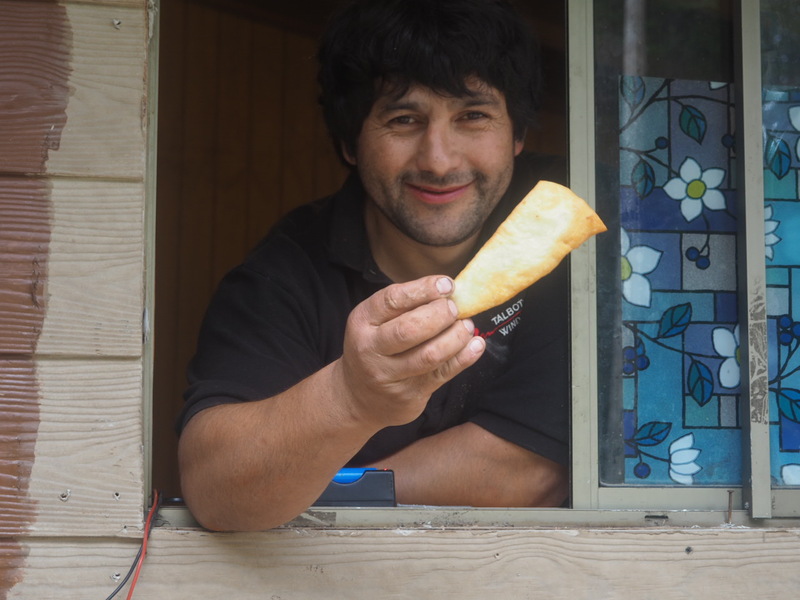 The section between Futaleufú and Coyhaique was my first taste of the Carretera Austral and offered plenty of opportunities for me to practice my patience of laborious problem solving. Nothing unusual there. 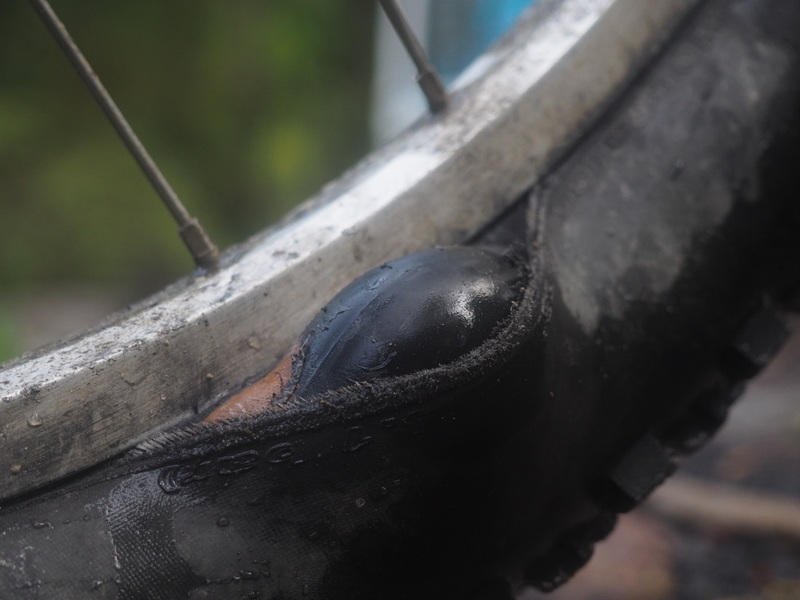 It included a badly slashed tyre wall, injuring my lower back, red marks (possibly chilblains) all over my hands and toes, endless rain, having to remove weird stuck links in my new chain etc etc. Fortunately, the distraction of being on the notorious road helped quickly soothe any frustrations. However, although very scenic I would probably restrict using any major superlatives to describe it after being spoilt in countries such as Peru or Bolivia. 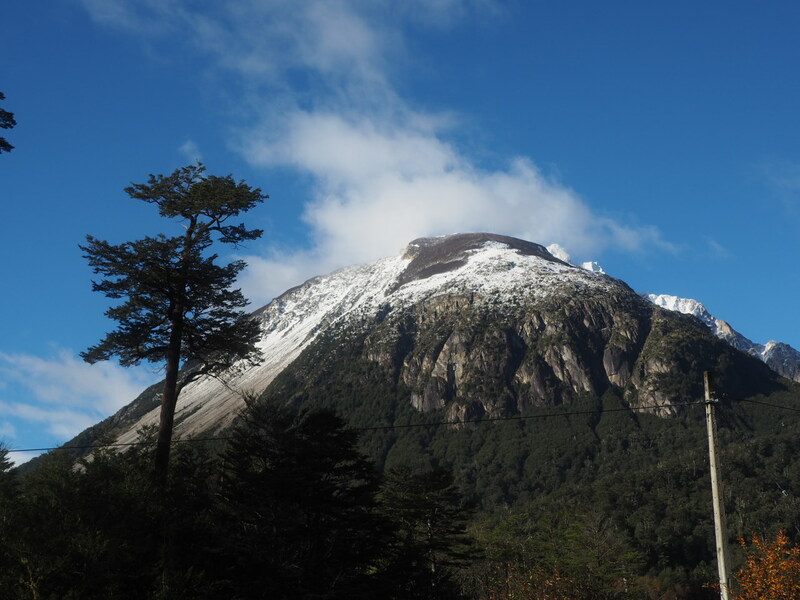 After crossing the tiny pass at Futaleufú, I enter the Carretera Austral at Villa Santa Lucia, snowy peaks immediately present themselves over the highway. 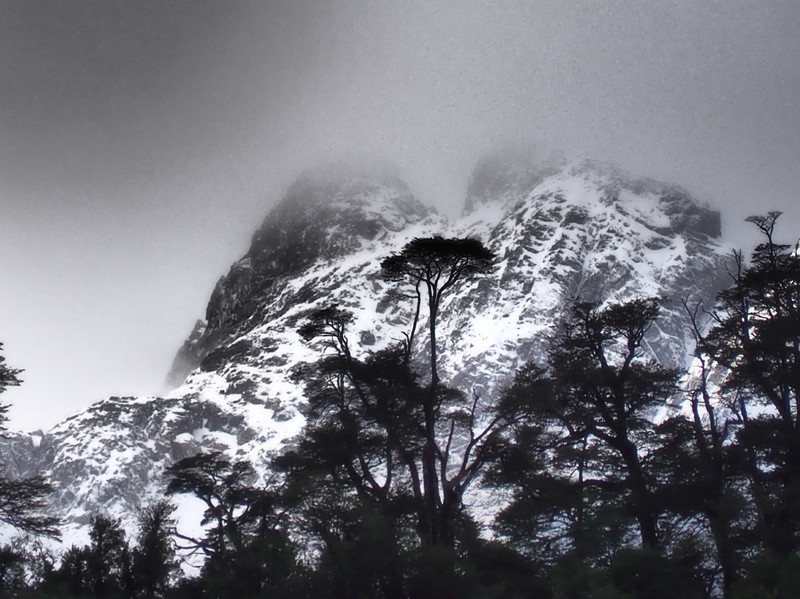 Background: appropriately translating to ‘Southern Highway’ it runs 1240 kilometres from Puerto Montt to Villa O’Higgins becoming increasingly less populated as it winds its way south with an occasional ferry crossing into the depths of Patagonia through scenic snow capped mountains, forests, lakes and glaciers. It’s very popular with touring cyclists…in Summer. In June you’re lucky (or unlucky depending on your agenda) to bump into more than a handful of cyclists on the entire road. 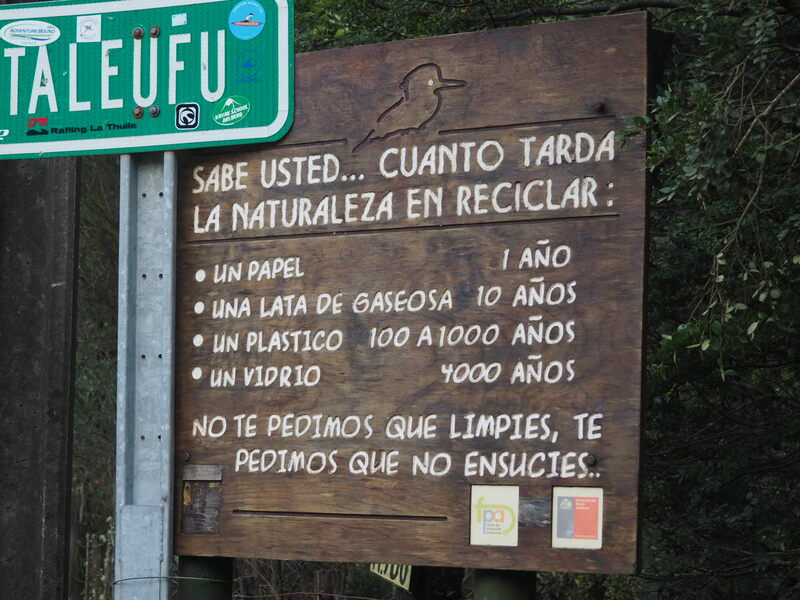 That also means more bearable car and truck traffic (south of Futaleufú at least). A high priority for this trip. 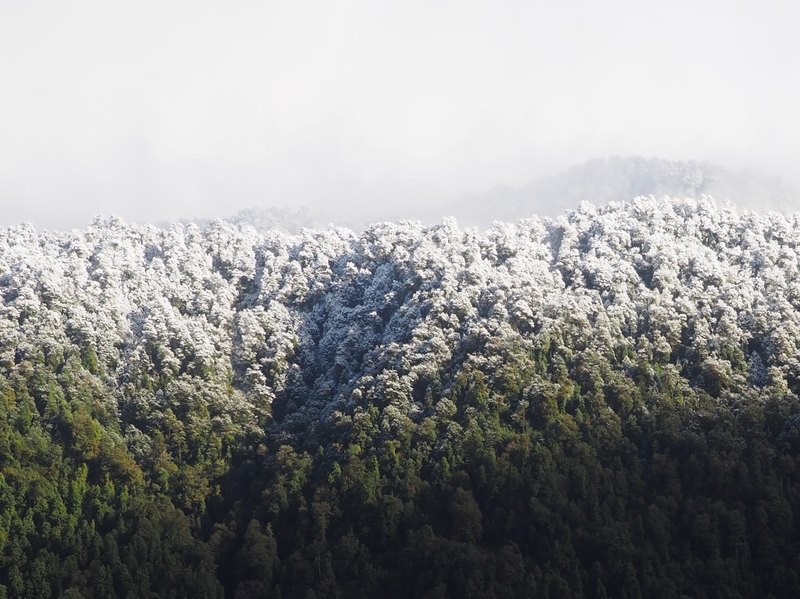 (With the exception of 45 kilometres before the city of Coyhaique which has hideous fast traffic on the shoulder-less road all year round. This is mostly avoidable by sticking to route ‘7’. Since I was already on it, I hitchhiked to escape the pointless danger). 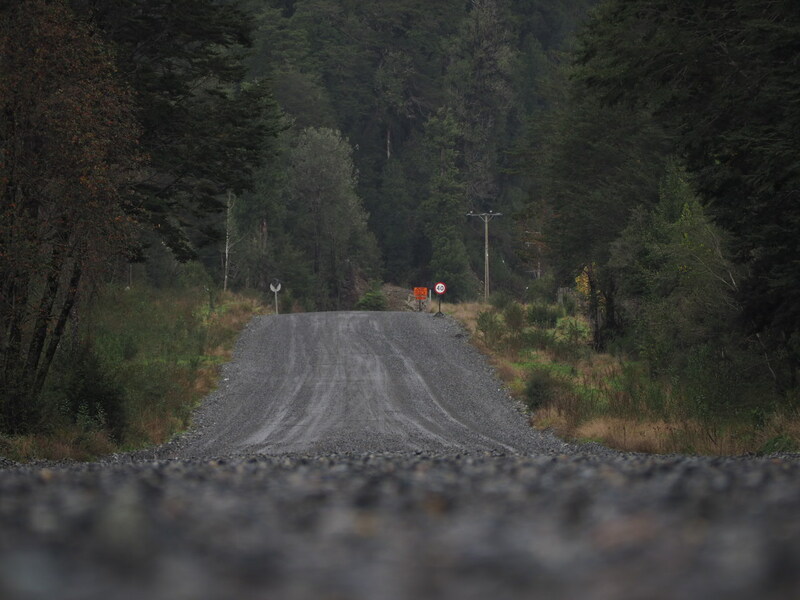 Construction on this road started in 1976 to link isolated Chilean communities that could previously only be accessed across the border by boat or from Argentina (not ideal given their rocky relationship). It is often attributed to the ‘genius’ of General Pinochet and, as a result, there is a lot of support for the controversial Dictator; one Chilean proudly showed me a photo of him standing by Pinochet in power. Other parts of the country opinions are strongly opposed. On the other side of the fence it is argued that there was already a plan in place before he came into power. And that he illegally used the army as cheap labour resulting in many lives lost. Either way, it now serves as a major lifeline to the communities down here. The mighty Futaleufú river surrounded by the common Carretera Austral theme: ‘green’. Overcast skies, heavy drizzle and more green. Rain down on the highway means snow higher up. 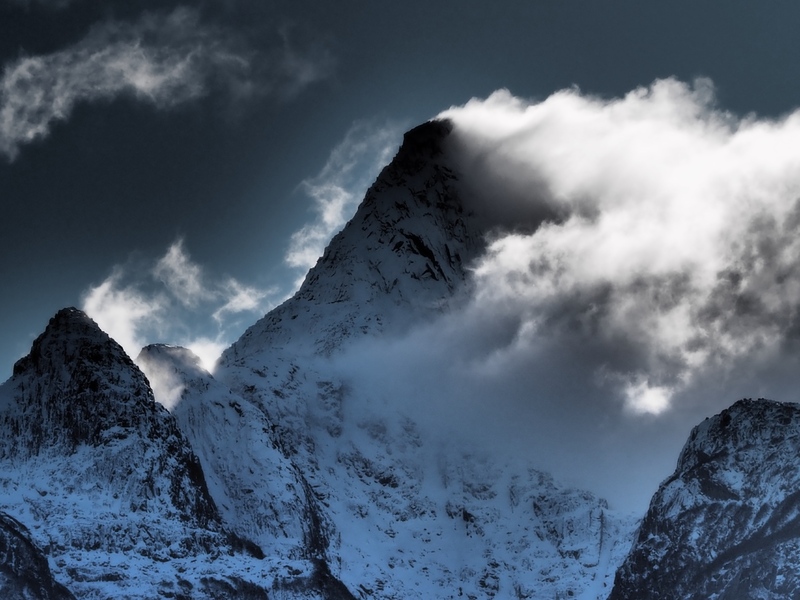 The snow line rapidly descending with the threat of wInter looming close-by. 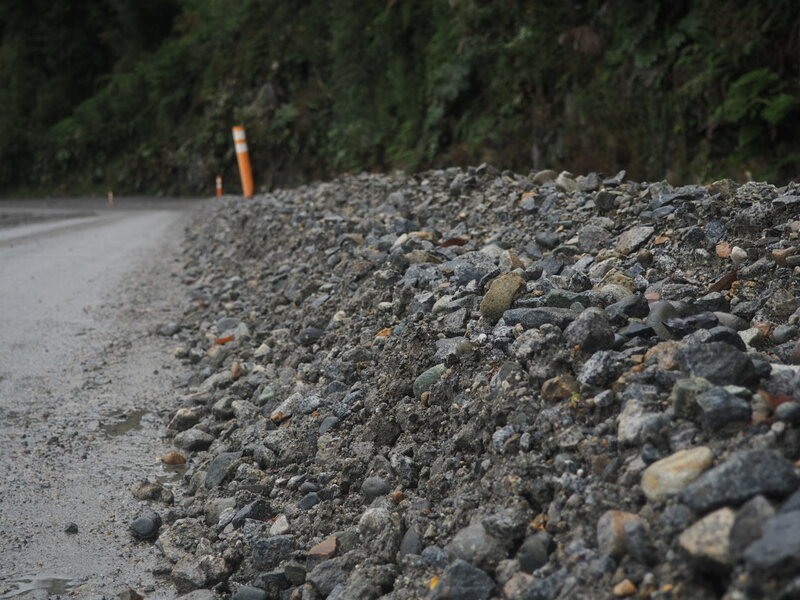 And then I meet the long tedious roadworks after Puyuhuapi that pass Ventisquero National Park. The road is currently closed between 1 and 5 pm so I find myself losing an hour and riding through them in the dark. Oncoming traffic encourages me to get off the road and I push my bike through the verge of sharp stones caused by the roadworks. …which prove to be perfect for slashing tyre walls. I lower the tyre pressure and limp to the entrance of Ventisquero Colgante National Park. 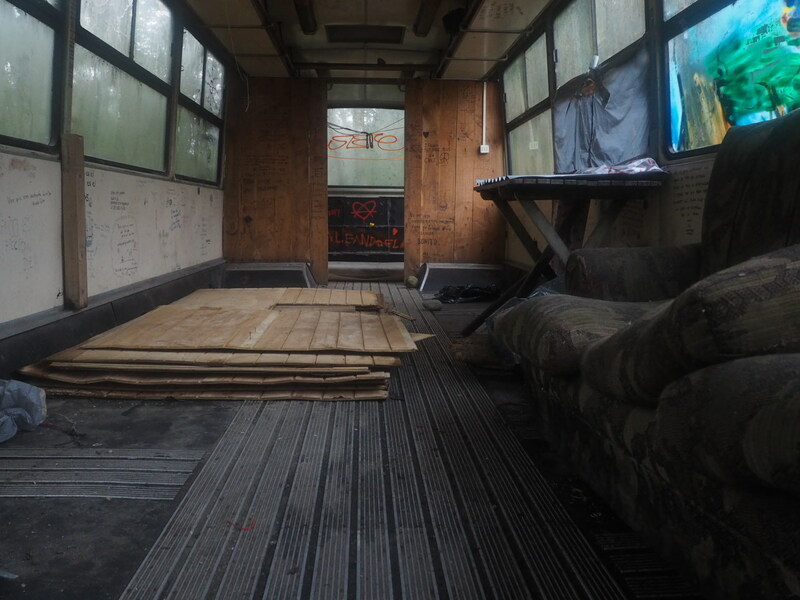 It’s dark and raining heavily but some builders working on the restoration of a nearby cafe thing come to my rescue pointing me over the road to the (currently) abandoned ‘Magic Bus’ camp site. 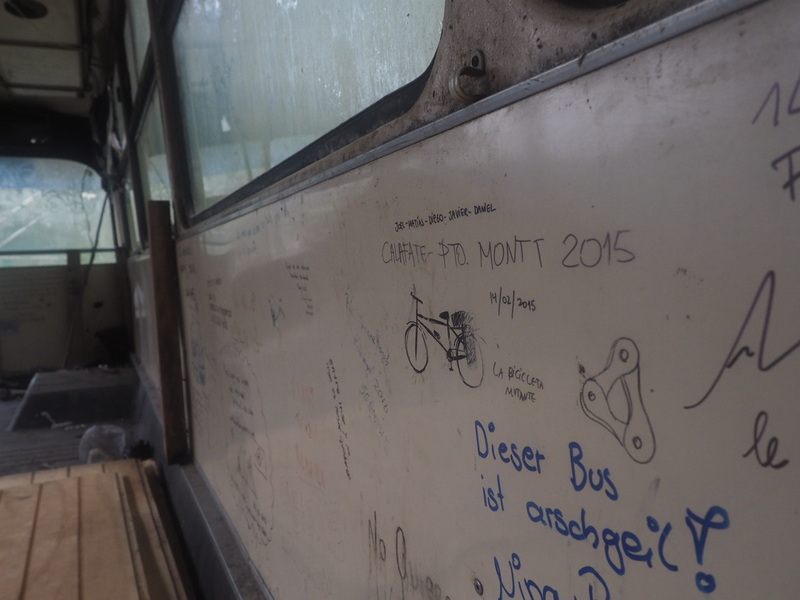 …leaving their graffiti all over the place. …each with their own dream. However, I end up sleeping under the roof on one of the purpose built camp spots outside. I choose the one without piles of human faeces. The workers across the road offer me ‘sopaipilla’. Basically doughnuts without sugar. Tasty. 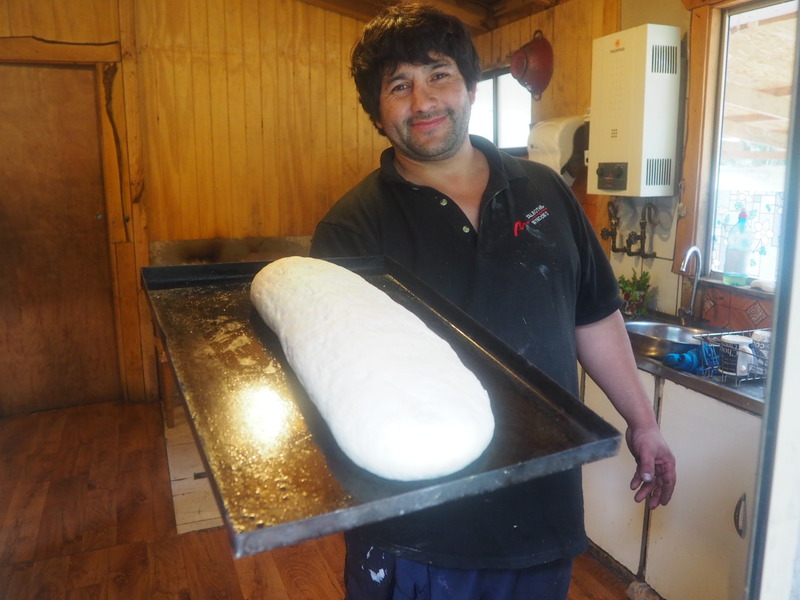 And fresh bread. Many make their own down here. And soup! With Ben and his workers providing entertainment. One develops an infatuation with my sister (who they’ve never seen). And unknown to me they stuff a woman’s blouse into one of my bags (or so I claim) which I find after I leave. 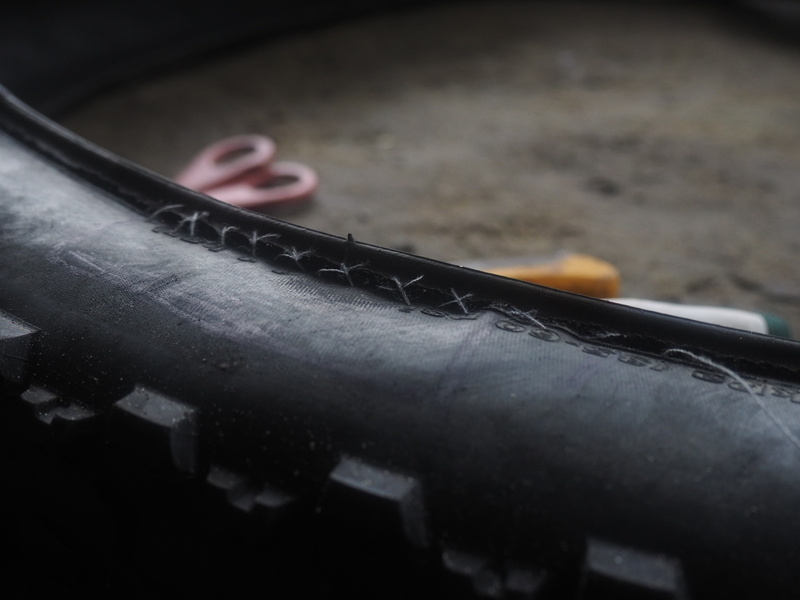 I manage to develop some very basic sewing skills and stitch up my tyre, with some old hosepipe for reinforcement (this proves to be a poor choice since it later punctures the inner tube with its pointy edges). 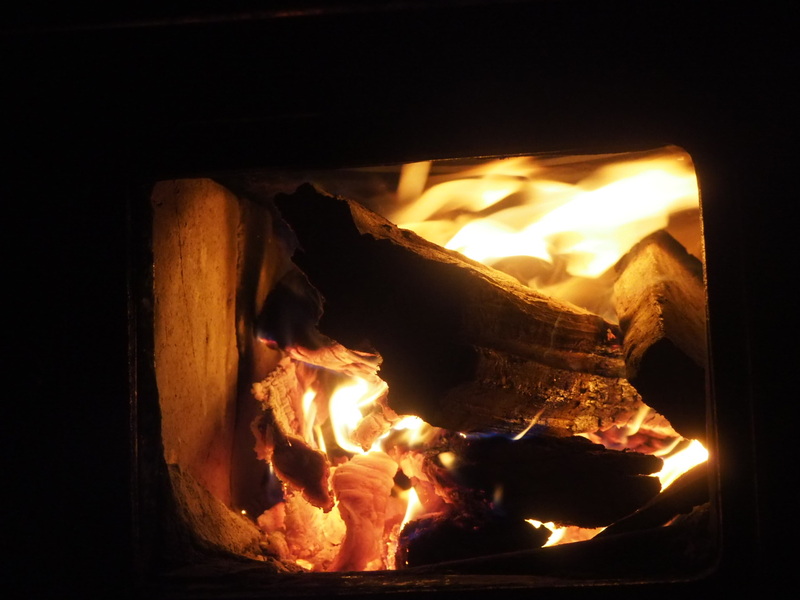 Wood stoves are ‘de rigeur’ and damn right necessary down here. (Another) basic wood cabin to myself, this time for 3000 pesos at Borderio camping in Mañihuales. 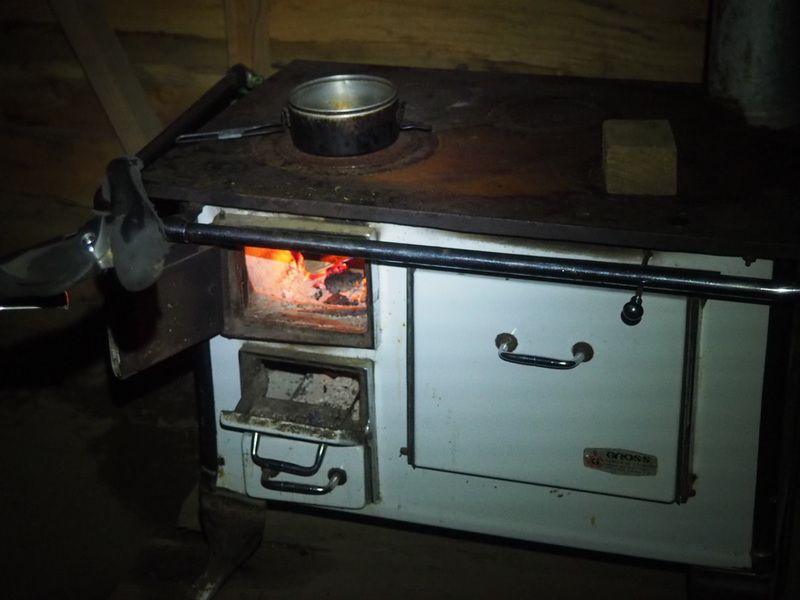 Good for cooking and moral, with temperatures below freezing at night. 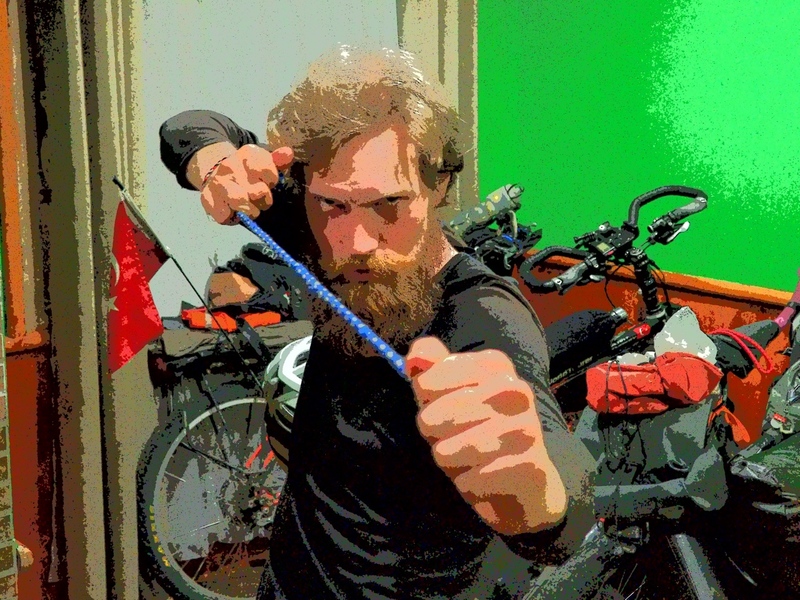 With his experiences in tough Finnish Winters, he seems to be some kind of iceman super hero. I absorb as much information as I can about handling the cold. Taking alternative route finding to the extreme, his last five days involved hiking and carrying his loaded bike through deep snow across Jeinemeni National Park, possibly more than he’d bargained for. Something I intend to avoid; masochists only need apply. 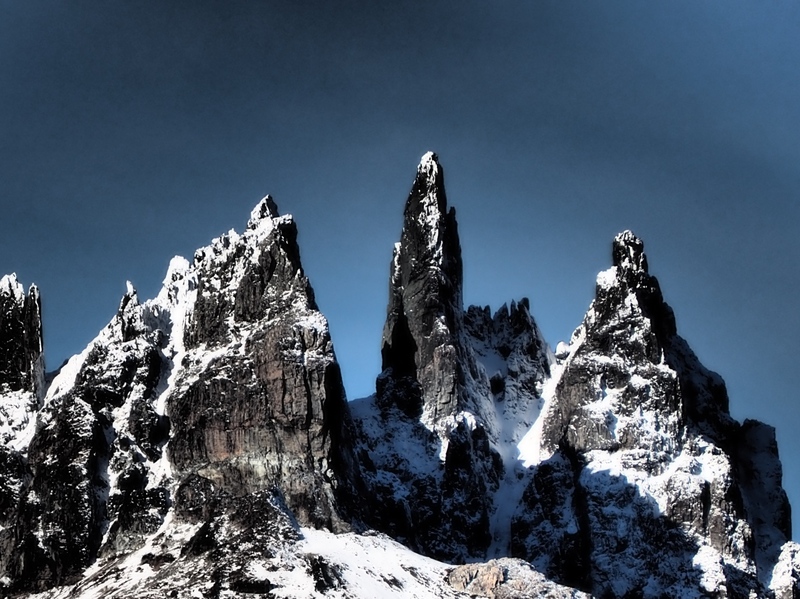 In Coyhaique I stock up on cheap Winter kit in the local markets and rest my amazingly painful lower back. I futilely question why the human body doesn’t warn itself that it is being injured lifting an awkward heavy object until after it has been injured lifting an awkward heavy object. My route was straight forward. follow the main road, some dirt, some paved. At the end of May in low season traffic wasn’t a problem except the last 45 kilometres to Coyhaique. I hitched the last 30 kilometres since I felt unsafe on the narrow fast roads. I recommend the same or, better, take the alternate route continuing on the dirt road 7 (I avoided dirt roads where possible because of my tyre issue). I’ve been using iOverlander app again after a long hiatus. Useful for finding some pretty nice wild camp spots etc. 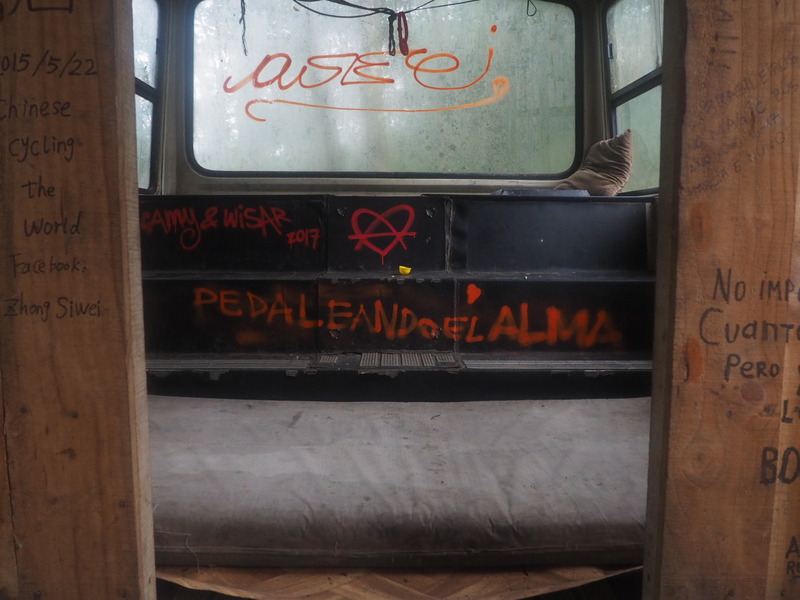 In Villa Amengual, look for the ‘refugio para ciclistas’, 4000 pesos run by Iñes in the burger bus parked on the side of the road. 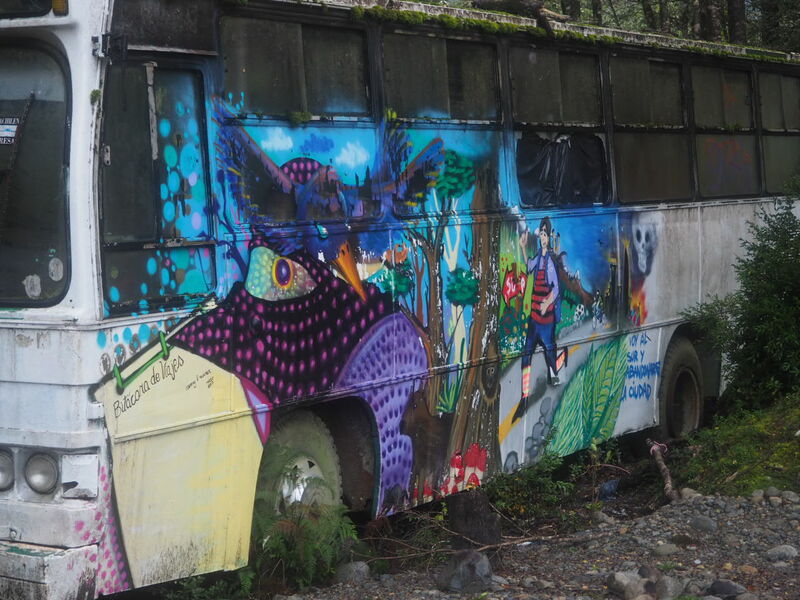 In Mañihuales, look for Borderio camping, 3000 pesos for your own cabin. 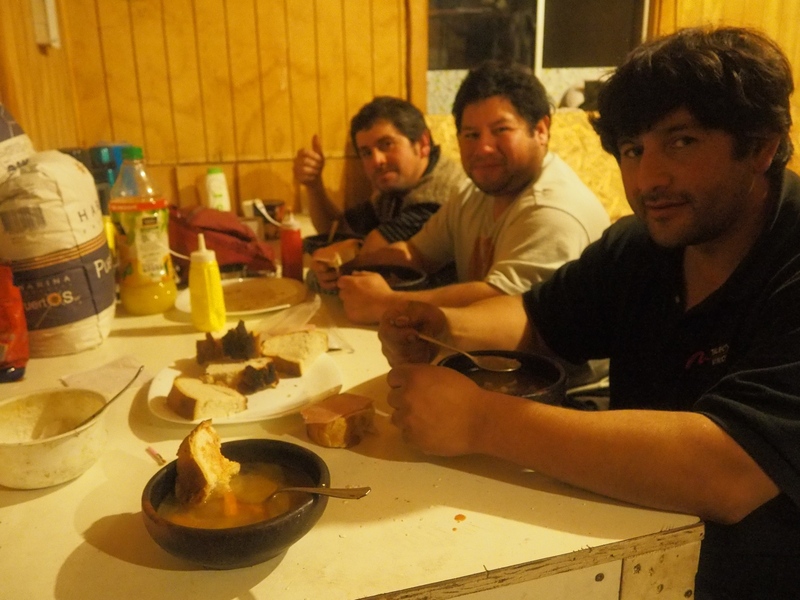 In Coyhaique: check hostel 485 Lautaro Mente Nomad run by Edith, you’ll feel like family. It may move soon, check here for recent info. Also on the 21st May Street there is an outstanding cake shop, only 1600 pesos for a piece. Worth every peso. 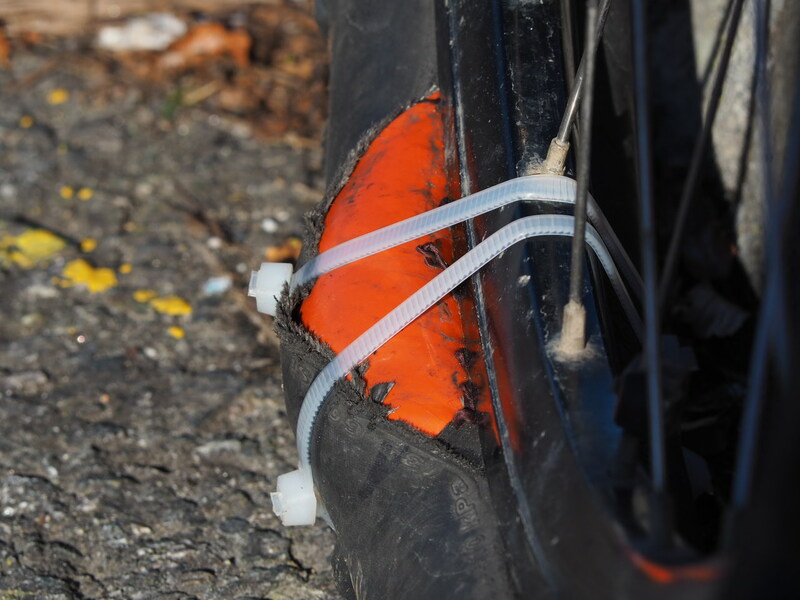 Thanks Campbell – certainly had to make a few kit adaptations. 😉 Just crossed into Argentina from Villa O’Higgins via Paso Rio Mayer. Was down to -14C 10 days ago here in Gobernador Gregores! But now just a (relatively) mild 1C.